Here is one for you serious Jewelry lovers, or those who just like a great deal when you do buy jewelry. 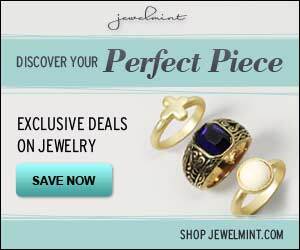 You can sign up for Jewel Mint and get custom made jewelry that is available to member’s only! And currently you can get 2 pieces for just $29.99 when you use promo code 1ForYou! That seems like such a great price for 2 custom made pieces. They have tons of great piece to choose from, it’s really hard to pick out two. 3) Enter your birthday and a password to create your account. So whether you want some new pieces for yourself, or someone special has a birthday coming up, be sure to check out all the great pieces available now at Jewel Mint.